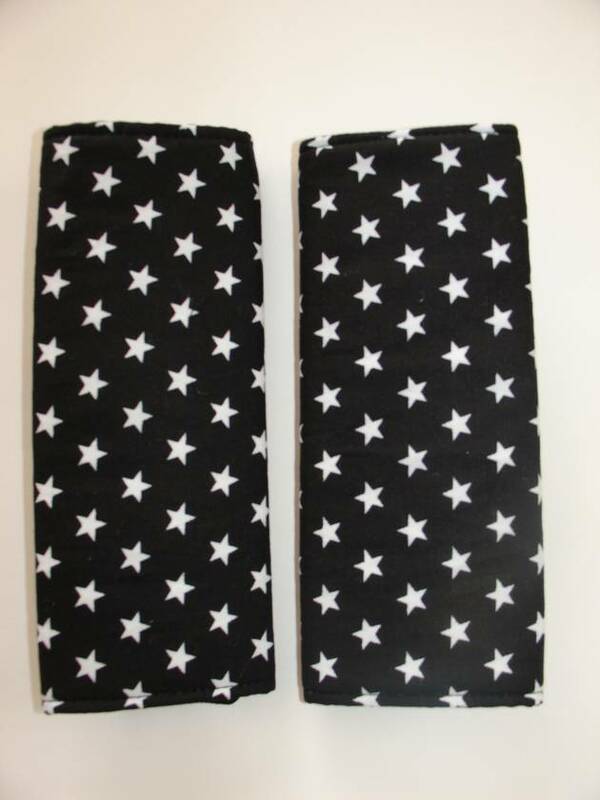 Great gender neutral fabric, the black back ground makes the small white stars really stand out. The reverse is plain black. They are reversible so either side can be facing outwards.